Custom Email Footers For Gmail | Brand On! Now you can add customer footers to Gmail with EmailFooterApp. 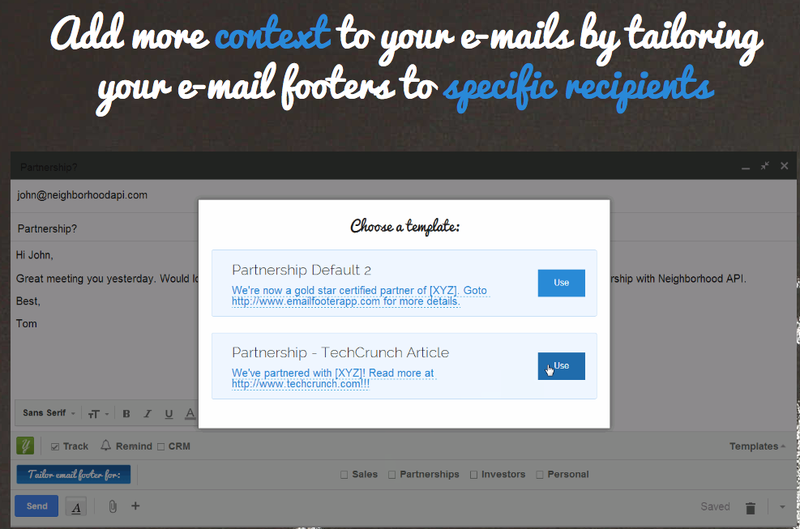 It’s a Chrome extension that lets you add tailored footers to the e-mails you send. In other words, you can create various templates to enhance your email “signoffs,” whether for sales, branding or calls-to-action.